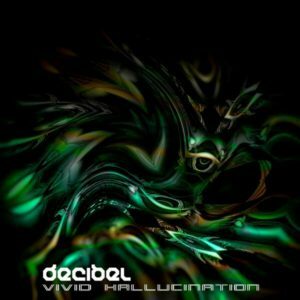 Vivid Hallucination is the fourth full-length album from Australia’s hermit producer Decibel. Here he reveals a more mature sound that continues to capture the twilight and early morning hours with a pseudo-freestyle psygressive Goa tech-psy explosion. This is Decibel’s second album with the Indigineous SOS benefit project and Random Records in support of the Cofan Survival Fund.. Music, mastering, and artwork by Mat Cristiano. MP3 Download | FLAC Download | WAV Download · Download count: 10,665. Mature release, alright. I be getting grannies jiving when I rep tunes like this on ma boombox. Hats off, cobber! This is great stuff. Thanks for sharing this. Enjoying it very much.